One of the latest FDA-cleared treatments to arrive at our Richmond plastic surgery office is designed to help patients reduce fat and contour the body without the need for surgery. CoolSculpting® is a non-invasive treatment that can target stubborn fat pockets that have been resistant to a healthy diet and exercise regimen. By using controlled cooling technology, the innovative CoolSculpting device causes an expulsion of excess fat cells from the body, effectively sculpting and defining common trouble areas, such as the abdomen, love handles, thighs, and buttocks. 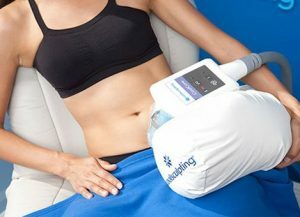 CoolSculpting uses cold temperatures to target fat cells under the skin’s surface on virtually any area of the body. First, the fat cells must be broken down. This is done through a process called Cryolipolysis®, which freezes the targeted fat cells. Over time, these damaged cells are metabolized and eliminated by the lymphatic system. After being eliminated, those fat cells cannot regenerate. 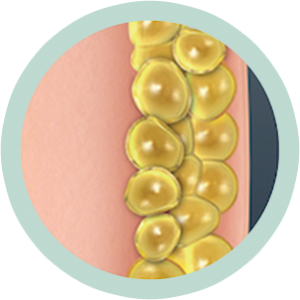 CoolSculpting results are long term, * because treated fat cells are gone for good. Am I Candidate for CoolSculpting? If it is determined that CoolSculpting® is not the best option to help you achieve your goals, we can work with you to find an alternative treatment. Patients who are in reasonably good overall health are often candidates for this treatment. In your initial consultation at Richmond Aesthetic Surgery and the Dermlounge, we will talk with you about your needs and goals and answer any questions you may have. If it is determined that CoolSculpting is not the best option to help you achieve your goals, we can work with you to find an alternative treatment that can meet your needs. In some cases, liposuction may be a better option, particularly for areas that are affected by more significant amounts of excess fat. Liposuction and CoolSculpting are both popular methods of fat reduction and can be highly effective for the right candidates. Liposuction is a surgical procedure that requires a few small incisions, through which a cannula is inserted to extract the excess fat cells. As noted above, CoolSculpting is a non-invasive treatment that literally freezes away fat cells, destroying them and causing them to be naturally removed from the body. While CoolSculpting can provide beautiful contouring results for those with few and small areas of stubborn fat, liposuction is often a better alternative for those wanting more significant fat reduction results. The best fat reduction procedure for helping you reach your aesthetic goals will be discussed during your consultation. During this time, our team will help you understand the pros and cons of all your options, so you feel confident in your choice of treatment. What Does the CoolSculpting Treatment Involve? At your CoolSculpting appointment, our skilled medical staff will take you to a treatment room to begin your procedure. Depending on which area of the body you are treating, you might be asked to sit or lie down in a comfortable position. This treatment is non-invasive and, therefore, requires no anesthesia or recovery time. To begin the process, the CoolSculpting applicator will be placed on the treatment area, which will then initiate suction and start delivering the controlled cooling. Patients will feel an intense cold sensation at first, gradually fading as the area becomes numb after about 5 to 10 minutes. 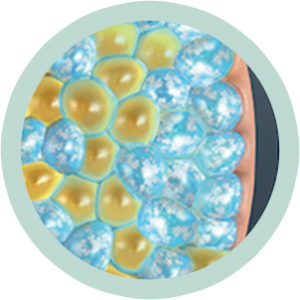 Since CoolSculpting technology is specifically designed to target fat cells, the skin and surrounding tissues remain unharmed. The entire CoolSculpting treatment takes about 35 to 60 minutes for each target area. To treat more than one area of the body, patients can have multiple treatments in one day, or return to the office at a later time. At the end of each session, the area is massaged for about 2 to 3 minutes, during which time patients may feel a tingling sensation. Patients can typically resume their daily activities immediately without the need for any downtime. The number of treatment sessions needed will vary greatly from person to person. This can be determined by our medical staff during the initial consultation and will ultimately depend on the amount of excess fat in the target area, along with other factors. Once you have been evaluated, we can talk with you about how many treatment sessions may be necessary to achieve the results you desire. What Can I Expect in My CoolSculpting Results? Final results will vary based on how many treatment sessions you completed and how responsive the fat pockets were to the cooling technology. CoolSculpting results can begin to be seen at about 3 weeks after treatment, with significant results being noticeable after 2 months. 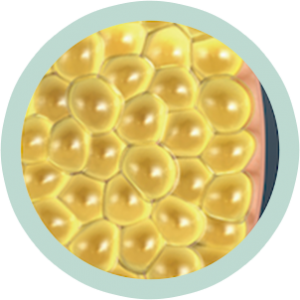 As the targeted fat cells are damaged, destroyed, and filtered from the body, they will not regenerate. This process can take up to 4 to 6 months to finish. Over this time, you should continue to see improvement in the treatment area. Final results will vary based on how many treatment sessions you completed and how responsive the fat pockets were to the cooling technology. Dr. Z and his staff have been nothing short of amazing. Dr. Z takes his time and does not rush you during initial evaluations or follow up appointments. He has the best bed side manner which you do not find in many doctors. Sara and Megan are truly wonderful and make you feel so comfortable. My results are AMAZING and I could not be happier. This procedure was truly life changing. I highly recommend Dr. Z to ANYONE! According to the manufacturer’s website, the average cost of CoolSculpting is about $2,000-$4,000. However, this total will vary based on each patient’s treatment plan. Factors that may affect your price include which body areas are being treated, how many areas are being targeted, and the number of sessions required to reach optimal results. You will be provided with a quote during your consultation based on your personalized goals and needs. If you are interested in dividing your total cost into more manageable monthly payments, we offer plastic surgery financing options. To learn more about these and how you can sign up, one of our knowledgeable staff members would be happy to help you. 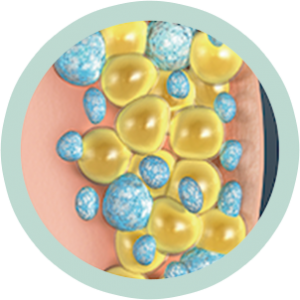 CoolSculpting technology is designed to offer patients safe and comfortable fat reduction. As treatment begins, you may notice a pulling or mild pinching sensation as well as intense cold and possible cramping at the treatment area. These side effects should quickly fade as the area becomes numb over the course of 10 minutes. After your CoolSculpting treatment, it is normal to experience temporary issues like redness, swelling, bruising, stinging, and sensitivity. Patients typically report these side effects resolve within days or weeks. Potential risks and side effects will be thoroughly explained to you prior to your treatment, ensuring you know what to expect and can make an informed decision about your care. To learn more about CoolSculpting or to schedule an appointment, please contact our office today.